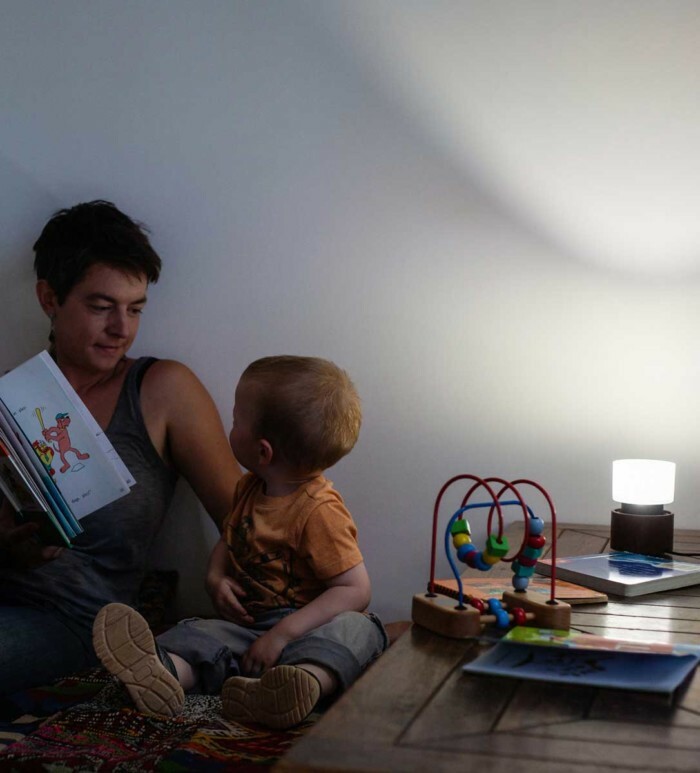 Perfect natural light, day or night, for children & parents! 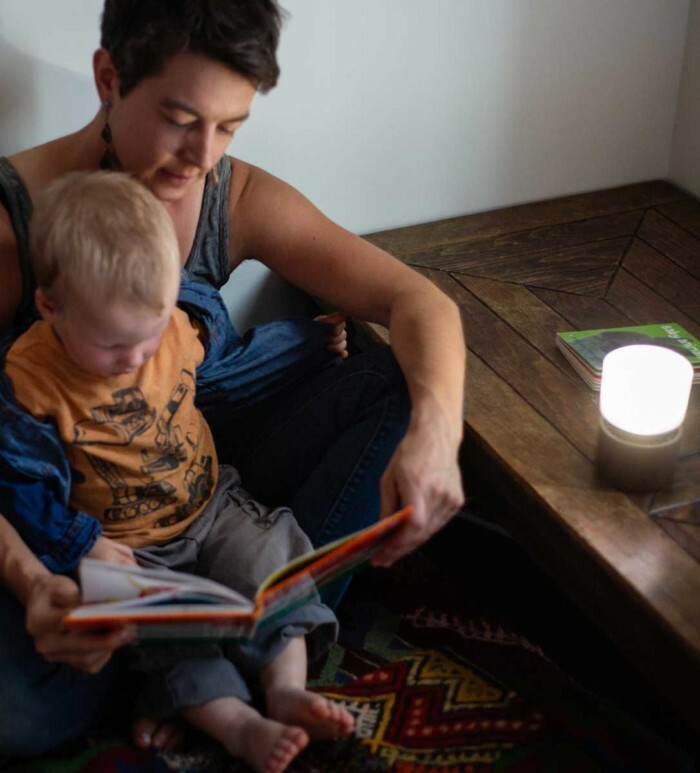 Support sleep consolidation, mood and healthy bio-rhythms for infants, children, and their care givers with natural light. Baby Bottled Sunshine delivers the natural queues we all depend on to know night from day. 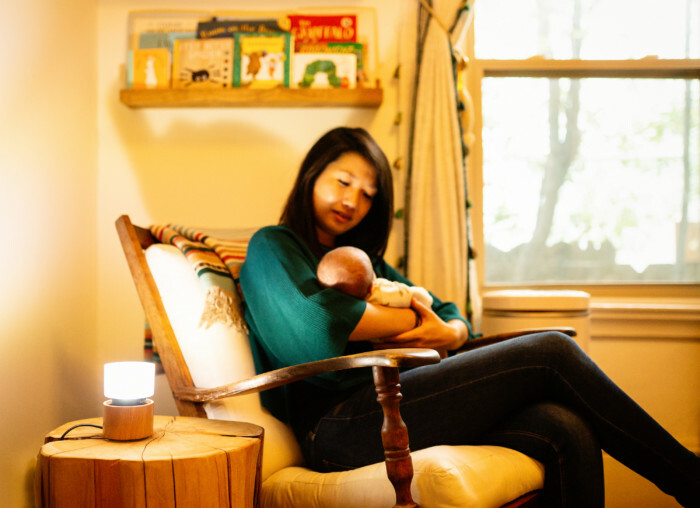 Plenty of candle light for nighttime feedings and diaper changes without disrupting the baby or the caregiver’s sleep (equivalent to 80 candles). Sunlight during the day to signal it’s that it is time to be awake and alert. 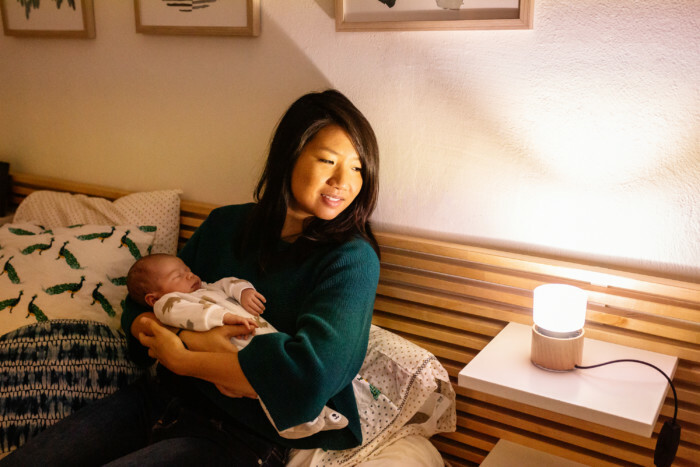 Baby Bottled Sunshine actively mixes six colors to provide beautiful, healthy natural light at every time of day and night! 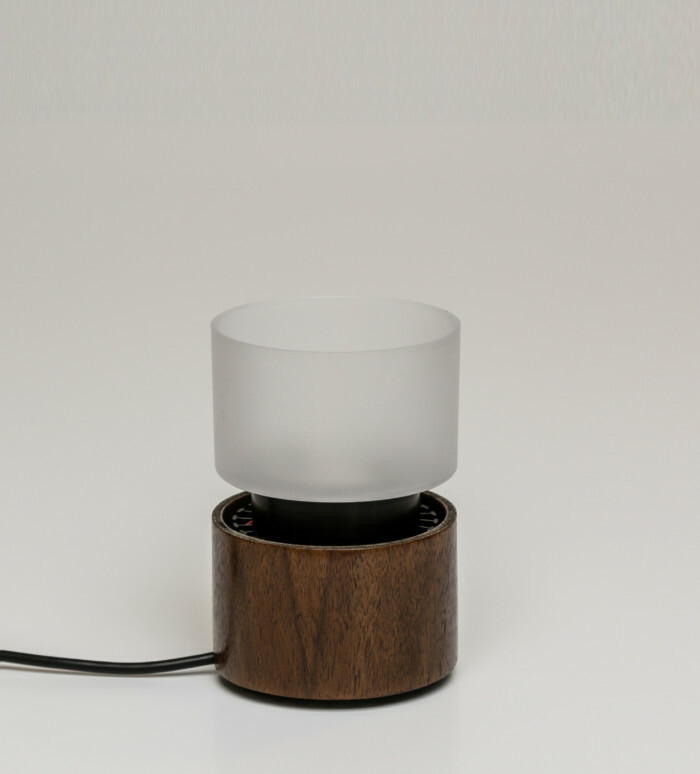 Bluetooth enabled if you want more control than mother nature provides (iOS only for now)! Indonesian light to Australia and Japan! Natural light is a blend of all the colors of the rainbow. 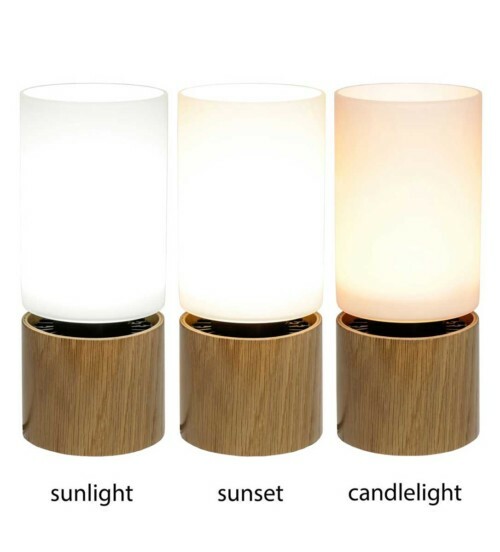 To recreate the beauty of natural light we actively blend the light of six different color LEDs. 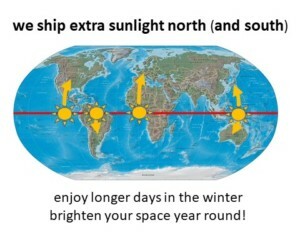 We deliver the daily and seasonal cycles of natural light by varying the ratio of these colors with the time of day and time of year (more blue during the day, more red/orange in the evening). 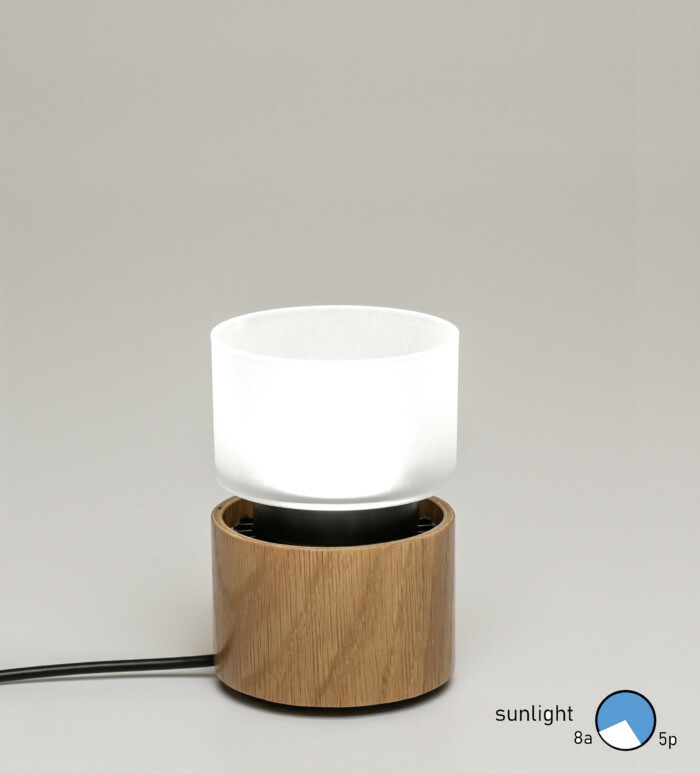 Our light sources include ‘closed loop’ technology which actively compensates for changes in temperature and the aging of the components to always deliver perfect perfect natural light. These light sources are rated at >50,000 hours of operating life, so you’ll never have to replace a ‘bulb’. 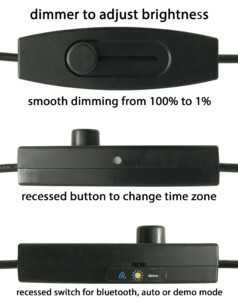 Our custom controller contains a real-time clock which is preset to your time, date and location. 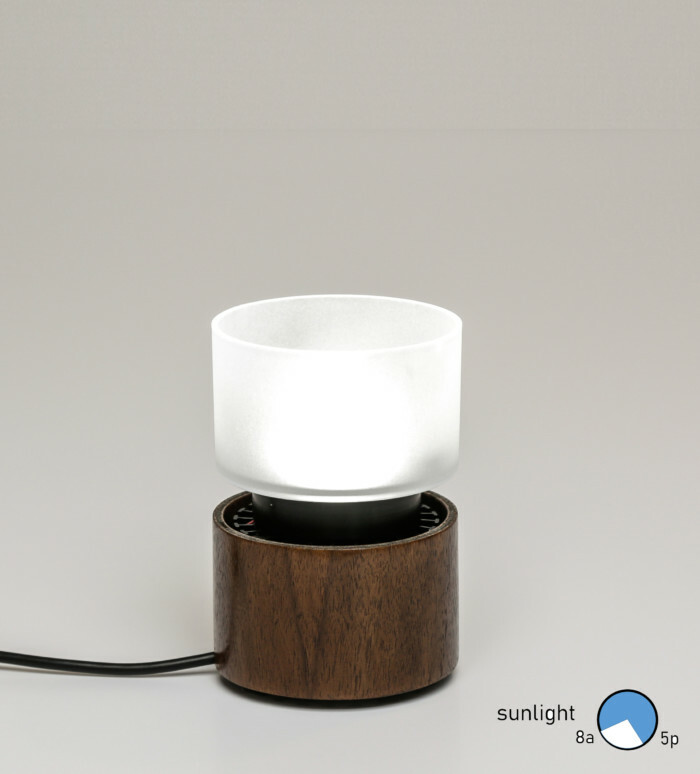 Our proprietary algorithms use this information to automatically deliver perfect natural light at every time of day or night. 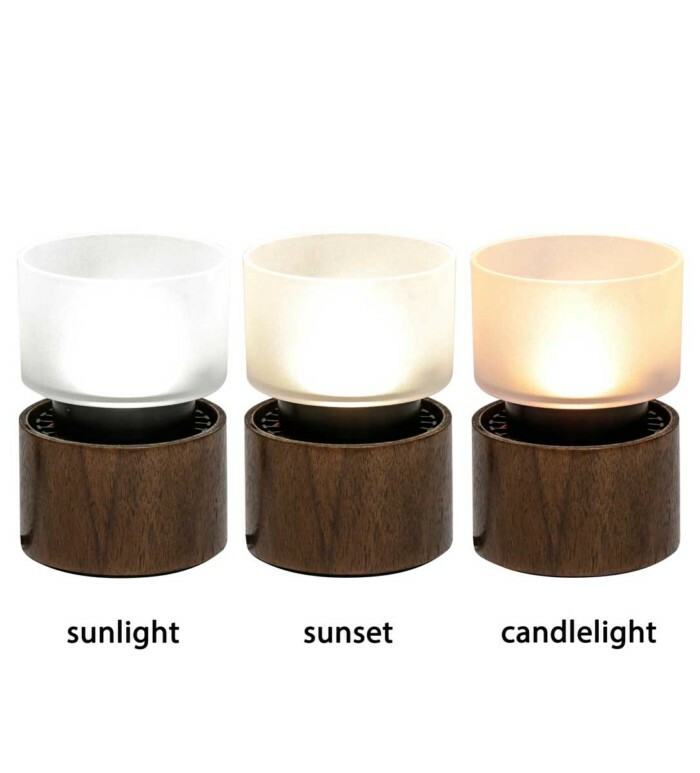 You control the intensity with a dimmer, and our controller does the rest – just turn on the lamp and enjoy the beautiful, healthy natural light! 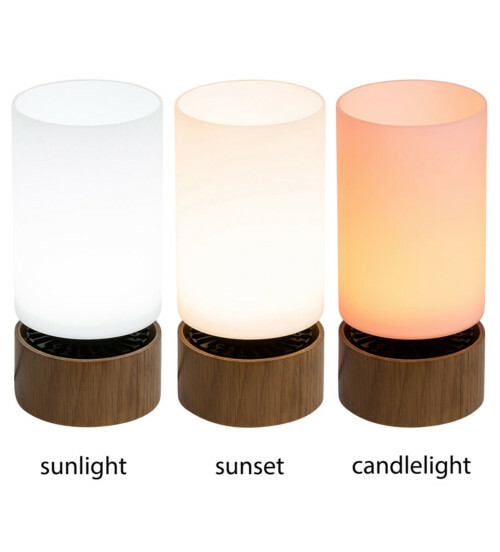 Optional: you can customize your light to match your preferred schedule with the touch of a button. Just press and hold the grey recessed button for 10 seconds at 6pm to reset the natural light cycle. If you prefer an early-bird schedule, press the button at 5pm (or earlier). If you’re a night-owl, press the button at 7pm (or later). 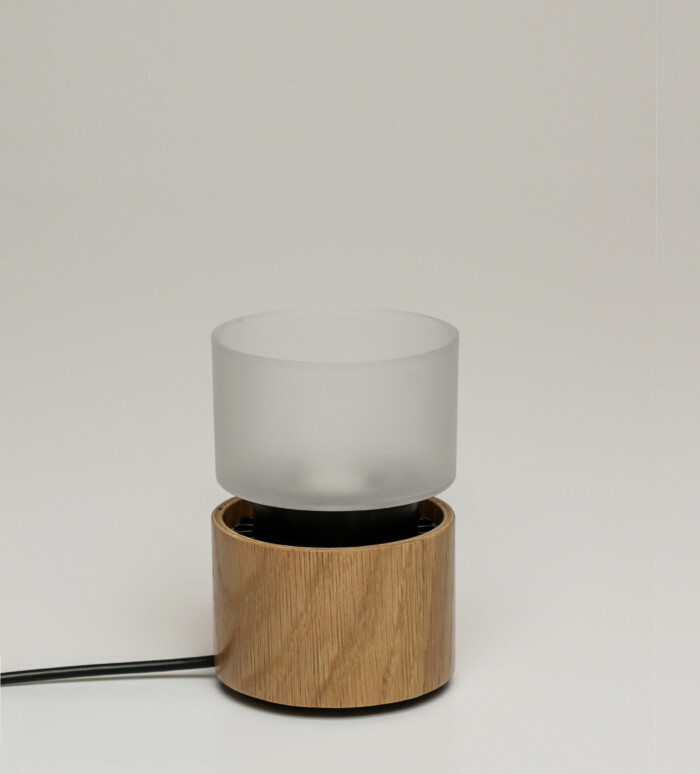 If you move to a new time zone, press the button to adjust your lamp to your new location. 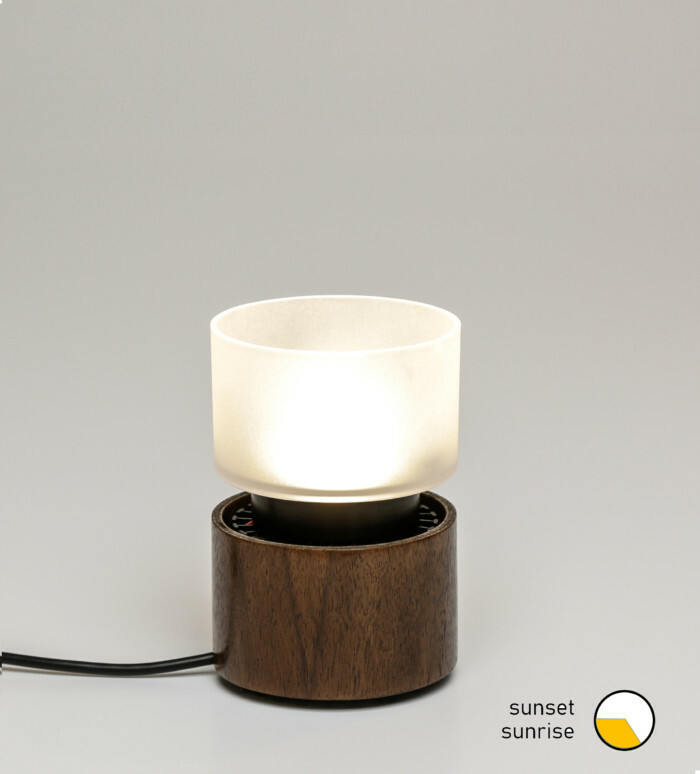 rated at 10-20 years of life (50,000 hours), no need to ever change a ‘bulb’ again! built to last using glass, metal and wood with (almost) no plastic! 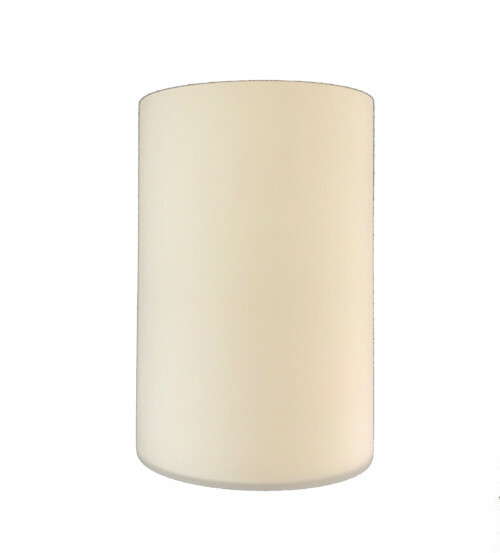 We offer a choice of two different lamp base finishes to match your aesthetic. Walnut (dark wood) matches classic and antique furniture. Oak (light wood) matches modern and Scandinavian furniture. Our wood trim sourced from a sustainable forestry in Michigan. We finish the wood with no-VoC AFM Safecoat finishes. We build bottled sunshine Therapy to order, choose the fit and finish which best matches your space! 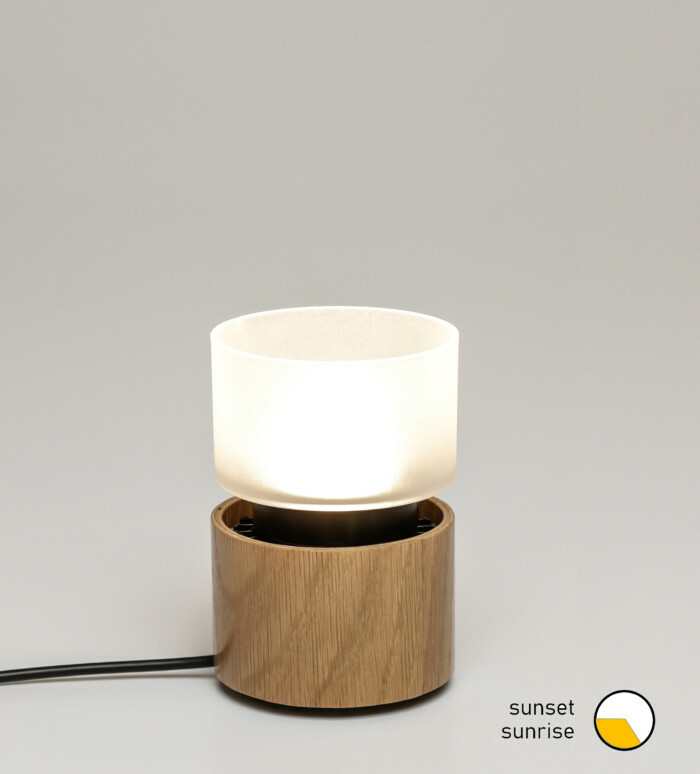 Choose the lamp base which best fits your aesthetic!